This article is about the major American political party. For other American and worldwide parties using the term "people's" or "populists", see Populist Party (disambiguation) and People's Party (disambiguation). Economist Edward Kellogg was an early advocate of fiat money. Ideologically, the Populist Party originated in the debate over monetary policy in the aftermath of the American Civil War. In order to fund that war, the U.S. government had left the gold standard by issuing fiat paper currency known as Greenbacks. After the war, the Eastern financial establishment strongly favored a return to the gold standard for both ideological reasons (they believed that money must be backed by gold which, they argued, had intrinsic value) and economic gain (a return to the gold standard would make their government bonds more valuable). As part of their efforts to restore the gold standard, these "hard money" financial interests pressured the government to prevent an expansion of the country's money supply, causing deflation and rising interest rates. As part of an effort to prevent inflation, these same interests also won passage of the Coinage Act of 1873, which barred the coinage of silver, thereby ending a policy of bimetallism. The deflation caused by these policies affected farmers especially strongly, since deflation made it more difficult to pay debts and led to lower prices for agricultural products. Angered by these developments, some farmers and other groups began calling for the government to permanently adopt fiat currency. These advocates of "soft money" were influenced by economist Edward Kellogg and Alexander Campbell, both of whom advocated for fiat money issued by a central bank. During the difficult economic conditions of the Panic of 1873, advocates of soft money formed the Greenback Party. 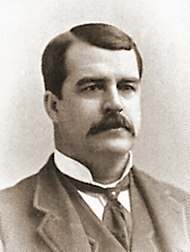 Greenback nominee James B. Weaver won over three percent of the vote in the 1880 presidential election, but the Greenback Party was unable to build a durable base of support, and it collapsed in the 1880s. Many former Greenback Party supporters joined the Union Labor Party, but it also failed to win widespread support. Though soft money forces were able to win some support in the West, launching a third party proved difficult in the rest of the country. The United States was deeply polarized by the sectional politics of the post-Civil War era; most Northerners remained firmly attached to the Republican Party, while most Southerners identified with the Democratic Party. Despite fierce partisan rivalries, the two major parties were both closely allied with business interests and supported largely similar economic policies, including the gold standard. A group of farmers formed the Farmers' Alliance in Lampasas, Texas in 1877, and the organization quickly spread to surrounding counties. The Farmers' Alliance promoted collective economic action by farmers in order to cope with the crop-lien system, which left economic power in the hands of a mercantile elite that furnished goods on credit. The movement became increasingly popular throughout Texas in the mid-1880s, and membership in the organization grew from 10,000 in 1884 to 50,000 at the end of 1885. At the same time, the Farmer's Alliance became increasingly politicized, with members attacking the "money trust" as the source and beneficiary of both the crop lien system and deflation. In the hopes of cementing an alliance with labor groups, the Farmer's Alliance supported the Knights of Labor in the Great Southwest railroad strike of 1886. Later that year, a Farmer's Alliance convention issued the Cleburne Demands, a series of resolutions that called for, among other things, collective bargaining, federal regulation of railroad rates, an expansionary monetary policy, and a national banking system administered by the federal government. In 1887, the Farmer's Alliance merged with the Louisiana Farmers Union and expanded into the South and the Great Plains. In 1889, Charles Macune launched the National Economist, which became the national paper of the Farmer's Alliance. Macune and other Farmer's Alliance leaders helped organize a December 1889 convention in St. Louis; the convention met with the goal of forming a confederation of the major farm and labor organizations. Though a full merger was not achieved, the Farmer's Alliance and the Knights of Labor jointly endorsed the St. Louis Platform, which included many of the long-standing demands of the Farmer's Alliance. The Platform added a call for Macune's " Sub-Treasury Plan," under which the federal government would establish warehouses in agricultural counties; farmers would be allowed to store their crops in these warehouses and borrow up to 80 percent of the value of their crops. The movement began to expand into the Northeast and the Great Lakes region, while Macune led the establishment of the National Reform Press Association, a network of newspapers sympathetic to the Farmer's Alliance.